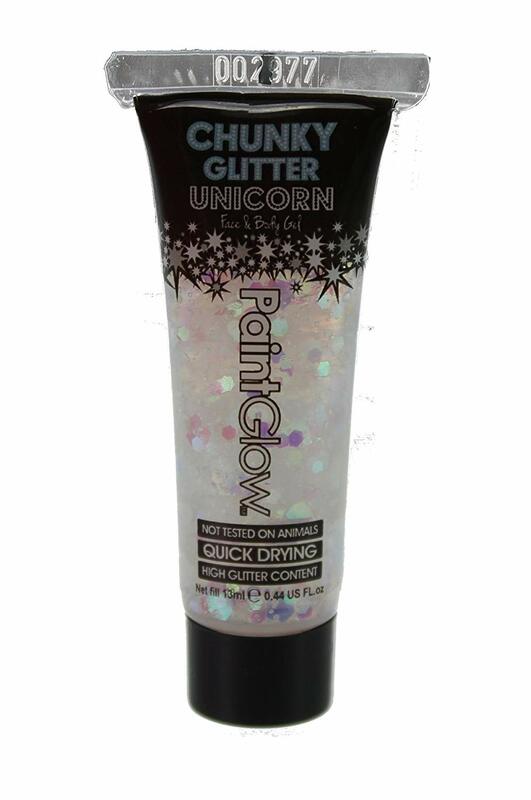 PaintGlow Chunky Glitter Body Gel has been dermatologically tested for use on the face & body. which is quick drying and long-lasting. Each piece of Glitter measures aprox 3.2mm and are a hexagonal shape. Paintglow Chunky Glitter is FD Compliant, EU Compliant & 100% Vegan.